Recently, I know a lot of people have been complaining about the lack of paid posts available. However, I reserve my comments because through my eight month experience of writing paid posts, I notice that there is a trend. The current slowdown is due to the July 4th holidays and also the summer vacations. Hence, I just lie low and enjoy the fewer numbers of paid posts to write. I spent time to spruce up my templates and I did change a mightly lot of templates on my blogs. Just when I stopped seeing my face on the top earners on one of the paid post company, I am woo-ed by other companies. That’s really marvellous. Just today, I received a bid from one advertiser for a paid review. USD50 for a food post. Then, last night, I got another two offers from a new company. All these totalled up to quite tidy sum so I am not too worried that my face no longer appears as top daily and monthly earners. So, the bottom line is – When there is a lack of paid posts to write, just use the time to spend hunting other new avenues. Optimise your site for Adsense. I have also been testing out all the available tools on LinkWorth and am slowly learning the ropes on Linkworth. On top of that, use the time to make your blog template more impressive because if advertisers drop by, they will surely pick blogs that have a more professional templates than one which is just one of the masses. Blogsreview.net has some nice suggestions for free bloggers template. And yeah, hang on. Things will pick up, as usual. Trust me, things can only get better. Thanks Lilian. Hmmm… new template then. get serious now…. yeah, 4th july long weekend is a big holiday, not many businesses open and ppl travel a lot in the summer. I thought so fast meh…I just started a few more new blogs and all of a sudden, no opps.. even for my PR3 blog. Yea, I do hope that it’s the summer holidays affecting the current situation at PPP. Yet, it’s great to know we can still look at other marketplaces. i have 0pr blog, so it’s kinda hard for me to find opportunities, just like last nite, i found 2, and quickly take the 2 opportunities to write up. Because if not this person is claiming to be you! Hey Paul – Thanks for the alert. I have emailed to customer support at Mybloglog. LOL, that’s definitely not me. I had left MyBlogLog recently. nicholas – A bit of hardwork will pay off. 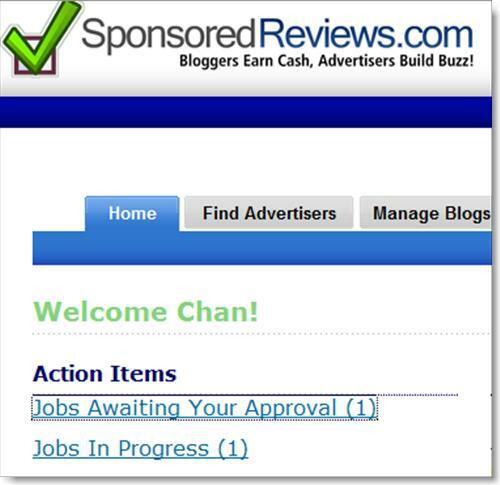 I have a PR3 blogspot blog and I do earn some good income too. doris – Yeah, otherwise, I am getting nervous. vedis – Nowadays all the opps turned out gray even before it appears! leah – Hopefully so or else…Ok, ok, let’s not get panic yet. papaJ – We have seen some really bad times before and usually they pick up. helen – Don’t worry, there are many companies out there. Just that I don’t mention it, yet. pablo – Those are really nice templates. Now I am itching to change my two blogspot blog again. These kind of things definitely go on a cycle, and are very succeptible to the holiday weeks. This year was probably worse because July 4 fell right in the middle of the week, which effectively cancelled out the entire week. Here’s hoping the opportunities come back soon! !